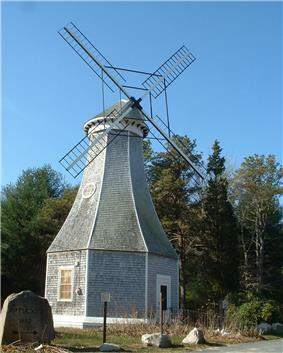 This is a list of traditional windmills in the American state of Massachusetts. Dennis Port Reuben Burgess Mill Smock Burned down unknown date, gone by 1885. East Dennis Hatsel Kelly Mill 1775 Struck by lightning and burnt down 1869. Fall River Smock Moved from Warren, Rhode Island. Moved to Portsmouth, Rhode Island at unknown date. Fall River smock Moved from Bristol, Rhode Island. Moved to Tiverton, Rhode Island at unknown date. Martha's Vineyard Tailer Mill Post 1985 Moved to Etzikom, Alberta, Canada 1995. 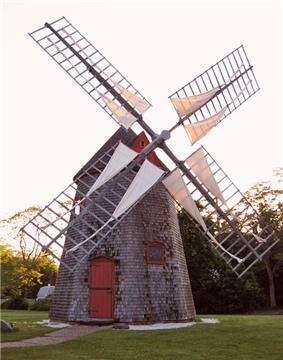 Orleans Jonathan Young Mill Smock 1839 Moved to Hyannisport 1897. Known building dates are in bold text. Non-bold text denotes first known date. Iron windpumps are outside the scope of this list unless listed on the National Register of Historic Places. ^1 Lombardo, Donald (2003). 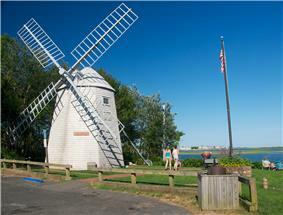 Windmills of New England, Their Genius, Madness, History & Future. Cape Cod, MA: On Cape Publications. 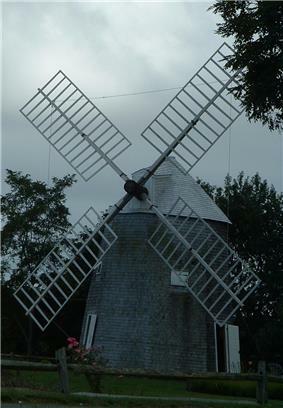 ^ "European Windmill Alberta". Canada Photos. Retrieved 22 July 2009. 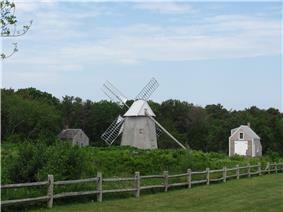 ^ "#165 Old Mill in Nantucket (1746)". 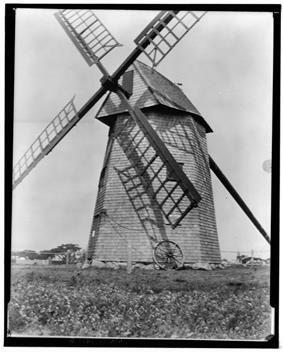 ^ a b "Judah Baker Windmill". Historical Society of Yarmouth. Retrieved 10 July 2009. ^ "CASTLE HILL BARN NEEDS YOU!". Castlehill. Retrieved 10 July 2009.